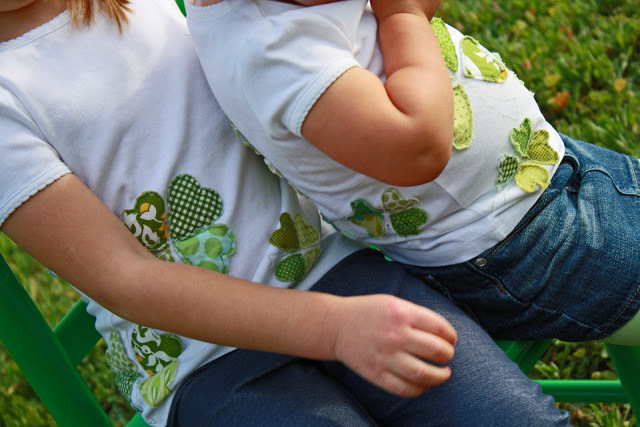 St. Patricks day is around the corner but there are still a few days to whip out a fun holiday top for your little girl! I remember Autie and I several years ago came up with this idea together and we made them together, with scraps of green fabric from our stashes. 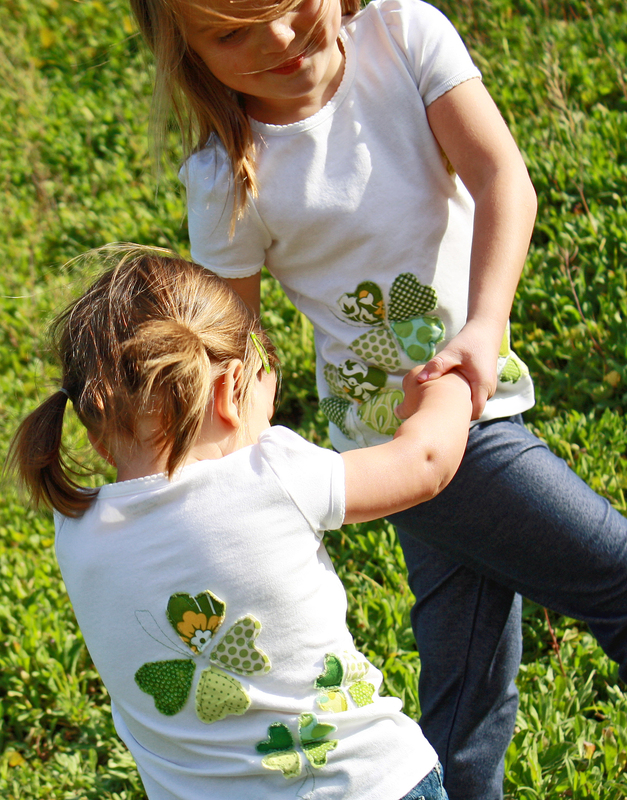 It was such a fun project and Emily and Ivy LOVED these cute little shirts. 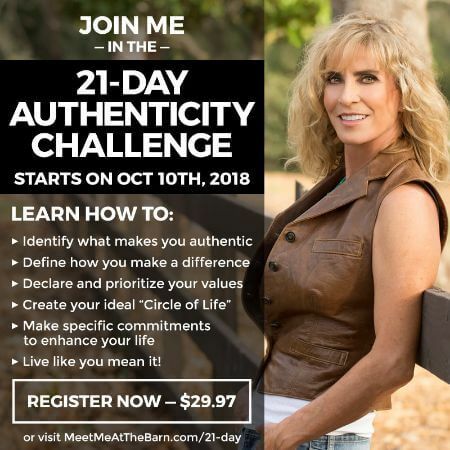 If you hurry, there is just enough time to make one! See the original post and get the tutorial here.